India’s Polar Satellite Launch Vehicle (PSLV) rocket has launched what a record haul of 104 satellites on Wednesday in a morning launch from the Satish Dhawan Space Centre. Liftoff was on schedule at 09:28 local time (03:58 UTC). Wednesday’s launch, the thirty-ninth flight of the Polar Satellite Launch Vehicle, or PSLV, was primarily tasked with carrying to orbit a Cartosat-2 series reconnaissance satellite for the Indian Government. 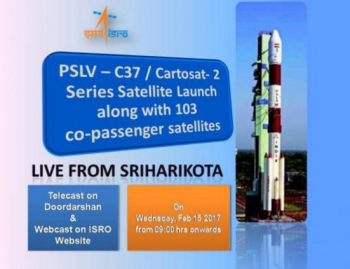 This was the fifth Cartosat-2 spacecraft to be launched; following the naming convention of previous such satellites it will be Cartosat-2D. Cartosat-2 is a series of panchromatic Earth imaging satellites, deriving from the original Cartosat-2 spacecraft which was launched in January 2007. 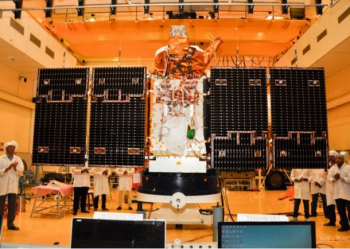 A successor to the earlier Cartosat-1 mission and part of the Indian Remote Sensing (IRS) program, Cartosat-2 was a high-resolution imaging spacecraft operated by the Indian Space Research Organisation (ISRO). Subsequent spacecraft in the series have been launched for the Indian armed forces to establish a constellation of military reconnaissance satellites. The Cartosat-2A, 2B and 2C satellites were launched in April 2008, July 2010 and June 2016 respectively. 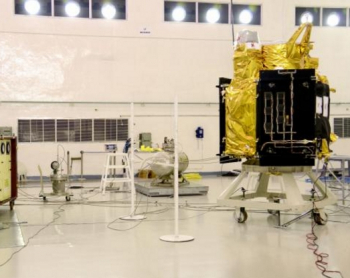 In addition to its panchromatic imager, Cartosat-2D is also equipped with a multispectral imaging payload which was introduced to the series with the previous mission, Cartosat-2C. Based on IRSO’s IRS-2 bus, Cartosat-2D has a mass at launch of 714 kilograms (1,570 lb) and is expected to operate for at least five years. The spacecraft will go into a circular sun-synchronous orbit at an altitude of 505 kilometers (314 miles, 273 nautical miles), with 97.46 degrees inclination, completing one revolution every 94 minutes and 43 seconds. The PSLV deployed Cartosat-2D – along with its 103 co-passengers – slightly above this orbit. Cartosat-2D was joined on its ride to orbit by a pair of ISRO research satellites named ISRO Nanosatellite 1A and 1B (INS-1A and 1B) and 101 CubeSats. The total of 104 satellites aboard a single rocket far exceeds the previous record for most spacecraft launched at a single attempt, which currently stands at the thirty-eight orbited by a Dnepr in June 2014, of which thirty-two were deployed from the rocket itself while a thirty-third failed to separate. Four of the Dnepr’s remaining five satellites were deployed later from one of the larger payloads and one of the mission’s CubeSats also released a subsatellite. The two INS spacecraft, designed for six-month missions, carry scientific and technology demonstration payloads for ISRO. The 8.4-kilogram (18.5 lb) INS-1A carries the Surface Bidirectional Reflectance Distribution Function Radiometer (SBR) and Single Event Upset Monitor (SEUM) experiments. SBR will measure the reflectance of sunlight from features on the Earth’s surface in order to study the bidirectional reflectance distribution function (BRDF), an equation describing how light is reflected by opaque bodies. SEUM will be used to study the effect of radiation in the space environment upon the spacecraft’s electronics, recording Single Event Upsets (SEUs), where radiation causes a data or memory bit to change state in the satellite’s onboard systems. INS-1A measures 30.4 by 24.6 by 26.4 centimeters (12.0 by 9.7 by 14.3 inches), deploying solar arrays with a span of 67.0 centimeters (26.4 inches) once in orbit. INS-1B is larger along one axis, measuring 30.4 by 24.6 by 51.0 centimeters (12.0 by 9.7 by 20.1 inches). Its solar arrays, which deploy along the second axis, have the same dimensions as INS-1A’s. As well as being larger, INS-1B is heavier than its sister, with a mass of 9.7 kilograms (21.4 lb). The satellite’s Earth Exosphere Lyman Alpha Analyser (EELA) experiment will study the flux of Lyman-alpha emissions from hydrogen atoms in Earth’s exosphere, as well as taking background readings for the same emissions coming from interplanetary space. A second payload aboard the satellite, the Origami Camera, consists of a color imaging system which will be used to test a new lens assembly on orbit. 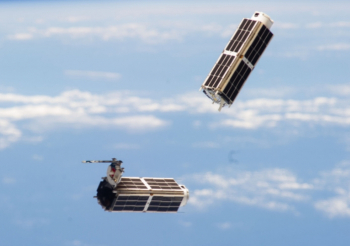 The majority of the CubeSats aboard Wednesday’s mission were being flown for Planet Labs, of the United States, making up the Flock-3p part of the company’s large constellation of Earth-imaging CubeSats. The largest batch of Flock – also known as Dove – satellites yet to launch, Flock-3p consists of eighty-eight individual three-unit CubeSats. Another eight of the PSLV’s payloads were Lemur-2 three-unit CubeSats for Spire Global. The twenty-second to twenty-ninth satellites in the Lemur-2 constellation, these spacecraft each carry a meteorological payload – STRATOS – which uses the occultation of signals from GPS satellites passing through Earth’s atmosphere to infer atmospheric temperature, humidity and pressure. In addition, the Lemurs carry SENSE receivers for the Automatic Identification System (AIS), allowing them to pick up and relay tracking data from ships at sea. Al-Farabi 1 is a two-unit CubeSat built by Kazakhstan’s Al-Farabi Kazakh National University. Built primarily to give students experience working on a space mission and to test components, the satellite carries a three-megapixel camera. 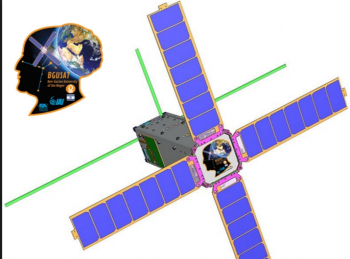 Ben Gurion University Satellite, or BGUSat, is being flown for Israel’s Ben Gurion University who constructed the satellite in conjunction with Israel Aerospace Industries (IAI). A three-unit CubeSat it carries two imaging payloads, an experimental GPS receiver and an optical communication experiment. 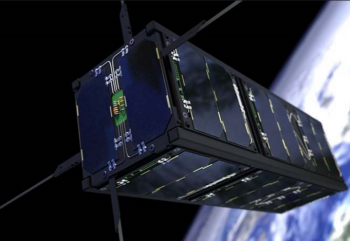 The DIDO-2 spacecraft is a three-unit CubeSat which will be operated by Swiss-based SpacePharma, a company which aims to market microgravity research opportunities to customers. The satellite carries a miniature self-contained microgravity research laboratory, mGnify, which is designed to facilitate various different types of experiment. DIDO-2 is one of two initial spacecraft being launched for SpacePharma; their DIDO-1 satellite is currently scheduled to launch aboard a Falcon 9 rocket later this year alongside the Republic of China’s Formosat-5 spacecraft. Nayif 1 is a single-unit CubeSat from the United Arab Emirates, developed by the Emirates Institution for Advanced Science and Technology (EAIST) and the American University of Sharjah. The satellite will be used for communications experiments and to give students experience in the design and operation of a spacecraft; it also carries FUNcube-5, a British transponder package, for amateur radio and educational outreach communications. The Piezo Electric Assisted Smart Satellite Structure (PEASSS) spacecraft is a technology demonstration satellite which will be operated by a consortium of TNO and Innovated Solutions in Space (ISIS) from the Netherlands, NSL Satellites of Israel and the Israel Institute of Technology, Active Space Technologies of Germany and SONACA of Belgium. PEASSS, a three-unit CubeSat, is geared towards testing “smart structures” for use in future missions. These include piezo-actuated panels which can be used to point instruments and solar panels, sensors integrated into composite fibers to monitor the temperature and health of the spacecraft structure and new electrical systems. Wednesday’s launch was made by ISRO’s Polar Satellite Launch Vehicle (PSLV), flying the PSLV-XL configuration. The heaviest-lift version of the PSLV, the PSLV-XL is a four-stage vehicle with a mixture of solid and liquid-fuelled stages. The rocket used for Wednesday’s mission was designated PSLV C37 and was the thirty-ninth PSLV to fly. The launch took place from the First Launch Pad (FLP) at the Satish Dhawan Space Centre at Sriharikota. 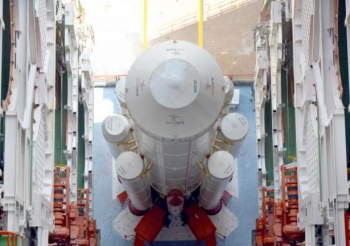 The PSLV’s first stage, PS1, is solid-fuelled using an S-139 motor which ignited once the countdown reached zero. The first stage is augmented by six PS0M-XL boosters, with S-12 solid motors, four of which are ground-lit and two air-lit. The ground-lit motors ignited in pairs 0.42 and 0.62 seconds after the first stage, with the PSLV climbing away from Sriharikota. The air-lit motors ignited twenty-five seconds into the flight. Following burnout, the first pair of ground-lit solids separated from the vehicle 79.9 seconds after liftoff, with the second pair following two tenths of a second later. The air-lit motors separated 92 seconds into the flight. The first stage burned until one minute, 50.88 seconds mission elapsed time, at which point it was jettisoned. Two tenths of a second later the second stage ignited its Vikas engine to continue the journey towards orbit. PSLV’s second stage, or PS2, is liquid-fuelled and burns UH25 propellant – a mixture of hydrazine hydrate and unsymmetrical dimethylhydrazine (UDMH) – oxidized by dinitrogen tetroxide. The Vikas engine which powers the stage is a licence-built version of the French Viking engine, which was used by Europe’s Ariane rockets up to and including the Ariane 4. During second stage flight, 47.2 seconds after ignition of the Vikas, the payload fairing separated from the nose of the PSLV. The second stage continued to burn until the four minute, 22.92-second mark in the flight, when it shut down and was jettisoned. Third stage ignition occurred 1.2 seconds after staging, with the solid-fuelled PS3 stage firing its S-7 motor for around 70 seconds. A short coast phase followed third stage burnout, with third stage separation taking place eight minutes and 12.22 seconds after liftoff, ten seconds before the fourth stage ignites. PSLV’s fourth stage, or PS4, has two engines which use liquid monomethylhydrazine (MMH) propellant, oxidized by mixed oxides of nitrogen. The stage burned for eight minutes and 25.58 seconds to achieve Cartosat-2D’s planned orbit, with the primary payload separating 42 seconds after powered fourth-stage flight ended. INS-1A was deployed ten seconds after Cartosat-2D, with INS-1B deploying half a second later. Around 52.5 seconds later than this, deployment of the CubeSats began, with the process scheduled to occur over the period of ten minutes and ten seconds. The final deployment event was scheduled for twenty-eight minutes and 42.80 seconds elapsed time, concluding PSLV C37’s mission. ISRO plans to use its own Indian Regional Navigation Satellite System (IRNSS) satellites for orbit determination on Wednesday’s mission instead of the US Global Positioning System (GPS) as has been used on previous launches. Wednesday’s launch was the first of the year for India, whose next launch is currently scheduled for March with the larger Geosynchronous Satellite Launch Vehicle (GSLV) Mk.II deploying the GSAT-9 communications satellite. PSLV’s next launch is currently expected in April or May with a collection of satellites including India’s EMISat and SPaDEx spacecraft.